Claudine Aegerter has brought into being the course in Numerology and founded the Coinnassance School of Numerology in 1993. As a group of teachers emerged, the course has been under continuous development ever since. As a result, in its twenty years of existence, the School has trained many good teachers. Claudine also founded the Association Internationale de Numerologues (AIN) to fulfil a need for an international Numerology organisation which would share the same values and would be a serious means of developing and promoting the profession of Numerology worldwide. Its most recent success has been the partnering in 2011 with AIN Asia (AINA), based in Singapore. Claudine also maintains a different creativity as part of a film production team (UHFilms). 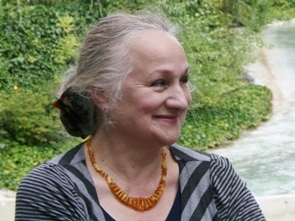 Claudine and her co-author Berenice Benjelloun wrote and published “The Spirit of the Tarot”, a major commentary on the major arcana, reinterpreted through numbers. Claudine Aegerter will be in Italy for the first time to teach the Diploma course in Numerology, which will be held in two parts. This course is only open to candidates who have successfully completed the Foundation Course. The Course offers a deeper understanding of relationships, the world, and focuses on the development of the intuition. Your personal development on the Course will open up new opportunities as never before. The course will be taught in English with Italian translation by Cristiana Caria. Part 2 of the Diploma course in Numerology will be held from 31st May to 5th June 2014.